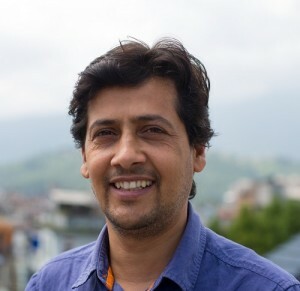 Narayan Adhikari, country representative from Nepal was recently interviewed by GovInsider about the work of the Lab and the Integrity Idol campaign. Find the article here. There is a reality TV show that could help cut corruption – and instead of starry-eyed singers, it is bringing into the spotlight “honest and incredible public servants”. Integrity Idol is “naming and faming” officials and bureaucrats who “behave differently, act differently, and maintain their honesty and credibility,” says Narayan Adhikari, Nepal Country Representative for the Accountability Lab. This initiative celebrates those that are working for the public good, and shines a spotlight on their efforts. Through their work, Adhikari and his team hope to “ensure that the people in power are responsible and answerable for the use of that power”, he says. He shares with GovInsider how the lab is advocating for greater accountability in governments, communities and youths through their initiatives. Adhikari notes that corruption is a challenge in most South Asian countries; applying for a driver’s licence, for instance, can be a drawn-out, month-long endeavour that ends with “paying some bribes”. Nevertheless, there are “individuals doing incredibly good work” that deserve to be recognised. Through Integrity Idol, “we bring these people upfront and engage them on finding some ideas and solutions for current problems,” he says. Citizens submit nominations for public officials that they believe demonstrate the values of honesty, integrity and accountability. Independent panels of experts will then narrow down the nominees to a shortlist of five. These finalists are featured on national television and radio, and citizens vote for their favourite – a formula that is surely familiar to reality TV fans. This “value-shifting campaign” is an attempt to “change beliefs about what behaviours are acceptable in society”, says Adhikari. “It’s about being accountable and answerable to your own actions and the result of those actions,” he explains. The initiative is also generating awareness on a national level around the need for such values in the public service. Past winners and nominees include school principals, healthcare professionals, and district officers, all of whom have led positive change in their communities. The yearly campaign first began in Nepal in 2014, but has now gone global, running in Liberia, Mali, Nigeria and Pakistan, and Adhikari hopes to launch Integrity Idol in Indonesia and the Philippines in the future. The Accountability Lab also seeks to build a network of “champions”, and inspire the next generation of leaders in the countries where they operate, says Adhikari. The lab works with young civil society leaders through their Accountability Incubator, which provides seed funding for innovative ideas. Applicants go through an extensive selection process, where Adhikari and his team will spend hours determining if they are suitable to be “accountapreneurs”. This means spending hours with each individual, collecting references and conducting interviews, to discover the ones that are “dedicated, honest, committed, hardworking and have perseverance”, he says. These accountapreneurs go through a two-year programme, which includes training, mentorship and networking, to help them bring their ideas to reality. The goal is to foster a network of “creative individuals that can collectively push for accountability” in their communities, Adhikari says. “We are building a cohort where young people with ideas come, they learn, they fail. We encourage them to fail; at the same time, you learn and adapt,” he adds. 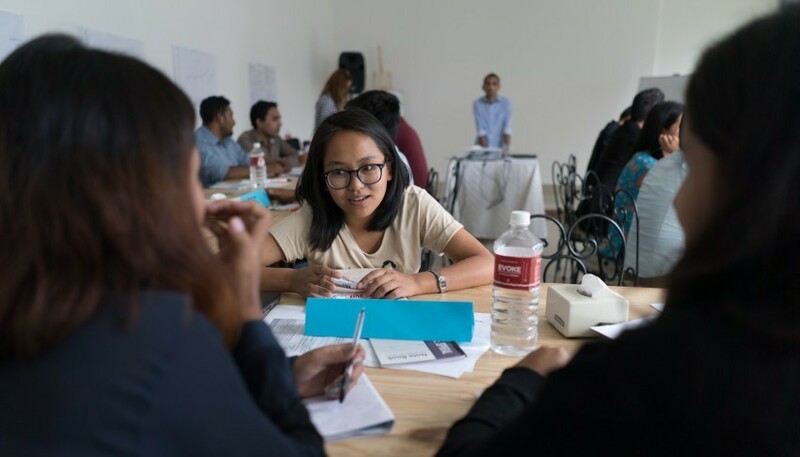 What is most important, Adhikari believes, is that young people are “less entrenched with corrupt behaviour” – but unfortunately, their efforts are “not often recognised”. He hopes to change this: “If we don’t invest in today’s young people, especially on building integrity and accountability, you will never create a leader who will think about these things in the future,” he emphasises. The lab’s network of accountapreneurs and volunteers played a key role in the 2015 post-earthquake relief period. In the aftermath of the disaster, “there was no connection or coordination” between those affected and the organisations that were supplying life-saving resources, Adhikari notes. “We wanted to make sure that there is some accountability in the response and relief process and create better reconstruction,” he explains. In the months since, teams of Accountability Lab volunteers headed to Nepal’s 14 affected districts to conduct surveys, gather citizen feedback and carry out “baseline data collection”, Adhikari says. “We went and spent a lot of time with the marginalised people who had little to no access,” he explains. They then organised and provided that data to humanitarian organisations and the government. The data now informs the work of over 25 agencies and NGOs in Nepal. This way, the lab is helping to close the information gap. Lack of information has been a “major challenge”, particularly for “the poor and disadvantaged”, Adhikari stated in an opinion piece. With this data, “government should be more responsive and citizens can better understand their role in recovery”, he wrote. Reality TV can turn ambitious hopefuls into superstars. Now, with Accountability Lab’s efforts, it seems there is a new type of star emerging – the hardworking public servants that are striving to make a difference.